Where did 2016 go? While this is a logical question to ask this time of year, you may have a more pressing one: Where to bring colleagues for a holiday season business lunch, dinner or drinks? If you’re doing business in Los Angeles, you are fortunate to have a lot of options at your doorstep. All you have to determine how your peers like to celebrate in terms of food style and setting. Here are a few ideas to ponder bas on the crowd you want to impress. 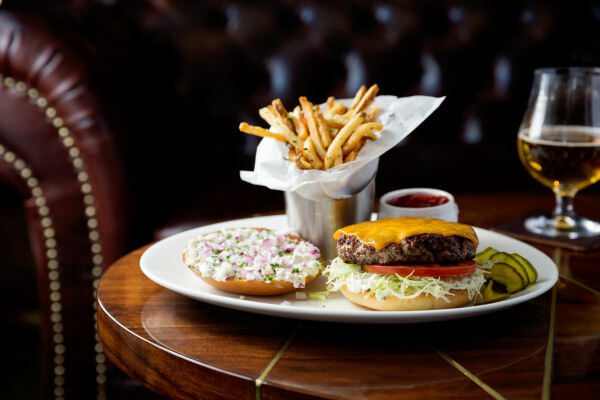 Little Dom’s marries together the laid back atmosphere of Los Angeles with the dynamic feel of a New York block. The dining room, meanwhile, is retro Hollywood meets modern Rat Pack, and warm, red leather booths in bar area create an old-school ambiance. The outdoor tables, situated along the perimeter along the sidewalk, are reminiscent of a European café, while the adjacent deli pays tribute to New York’s Italian delis. The menu features updated Italian-American fare fashioned by Executive Chef/Co-Owner Brandon Boudet. 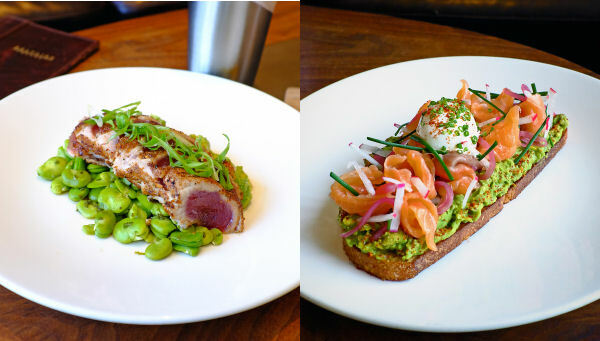 Eveleigh was one of the first restaurants to address the farm-to-table zeitgeist with style. Today, it is still a Sunset Strip destination thanks to its conversation-starting approach to food and handcrafted cocktails that are even better. Design elements, food and cocktail menus, and the wine list each add elements to the overarching sense of rustic welcome, evoking a sense of uncovering a hidden gem. 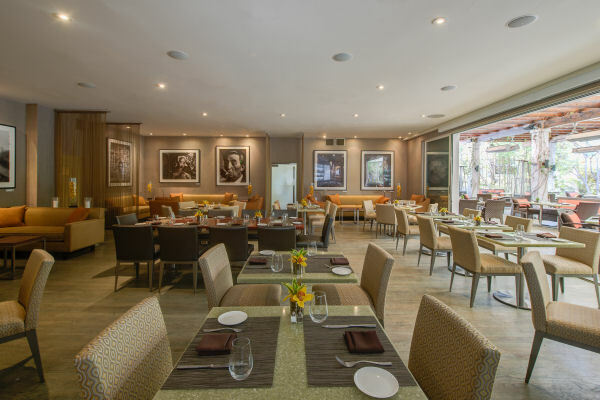 Cavatina, inside the hallowed Sunset Marquis Hotel, has a rock-and-roll vibe as well as wonderful, globally-tinged Mediterranean fare from new executive chef Chris Turano. Tapped by James Beard award-winning Chef/Restaurateur Michael Schlow, Turano has been an in-demand chef in L.A. since his win on the Food Network’s Chef Wanted competition show in 2013. 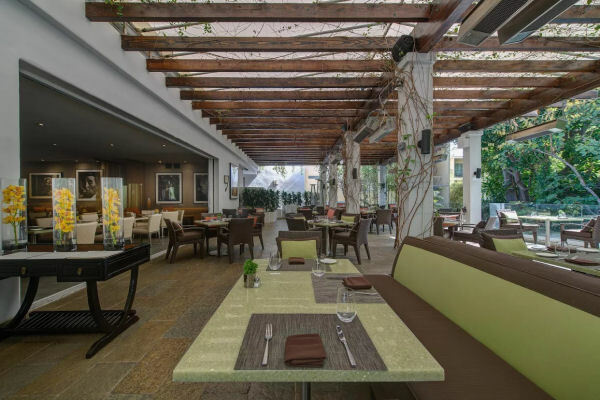 The earthy-swanky setting of Cavatina, the hottest Hollywood hideaway in the heart of West Hollywood. Cavatina Interior shots: The earthy-swanky setting of Cavatina, the hottest Hollywood hideaway in the heart of West Hollywood. Executive Chef Travis Strickland’s updated menu captures the essence of cool weather dining, California-style, with fresh seafood options, seasonal soups, and hearty sandwiches. 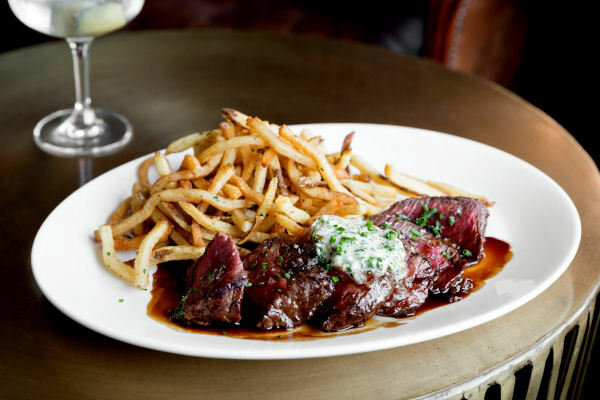 That said, Baltaire staples like Steak Frites with hand cut frites; The Lobster Cobb with Maine lobster and The Butchered Burger (ground fresh in –house daily) are there for the asking. Baltaire can also accommodate holiday soirees, from business-casual chic cocktail mixers in the expansive outdoor terrace to full-on restaurant buyouts for those feeling extra generous towards their colleagues and clients. One of Los Angeles’ most revered wine and spirits retailers comes of age with their informal-yet-swanky market-restaurant hybrids. 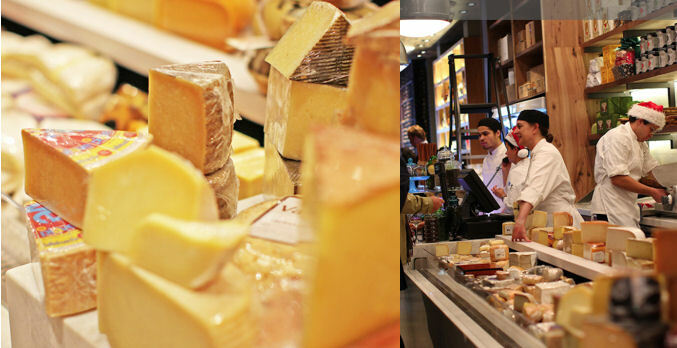 The experience is practically like stepping into a Parisian épicierie or Italian enoteca with a selection of cheese, charcuterie, and decadent seasonal specialty appetizers and main courses. All glorious food offerings are perfectly tailored to match with whatever wines you choose for your celebration. Take this world-class tasting experience for a cocktail mixer on the marble tables of the public area, or inquire about the private dining space seating up to 22. (PrivateDining@wallywine.com). Minimalist décor at Factory Kitchen provides the perfect canvas for exquisitely delicate riffs on pastas, focaccias, flatbreads and mains crafted by Chef Angelo Auriana. The cocktail list, meanwhile, is “craft” to its core, arranged from light to heavy, integrating top shelf spirits and the same farm-sourced ingredients as the kitchen. Officine Brera, the second sibling from the same time, features rustic Italian dishes and the kind of modern farmhouse feel one would expect to find in Italy’s top wineries and small-to-medium sized towns. If you’re planning a meeting in Los Angeles, and your intention is to treat your top talent and colleagues like the rock stars they are, you’re in luck! 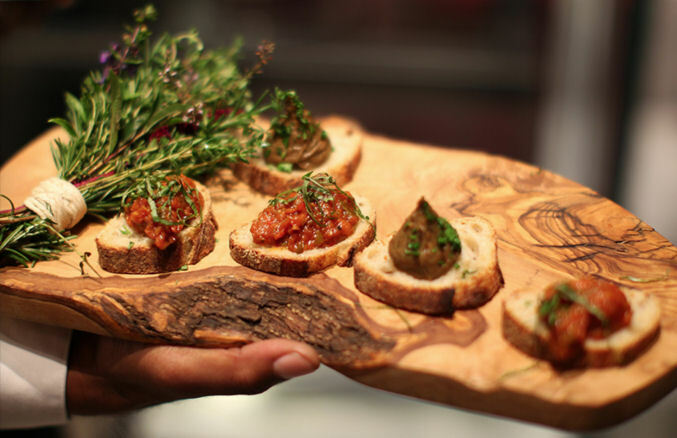 Wolfgang Puck’s catering division collaborates with the Anschutz Entertainment Group (AEG) for private events planning, complete with ready-for-prime-time production values and perks. Two of Hollywood’s great historic theaters (The El Rey Theater, The Fonda Theater), a high-tech concert venue (The Novo and Lounge by Microsoft) and the Shrine Auditorium (site of many past Emmy Awards ceremonies) set the mood and scene while Puck’s culinary team stir the other senses.